Happy Wednesday! Yesterday’s snow makes me doubt we are really 5 days away from spring; nevertheless, I am ready for some spring warm weather. 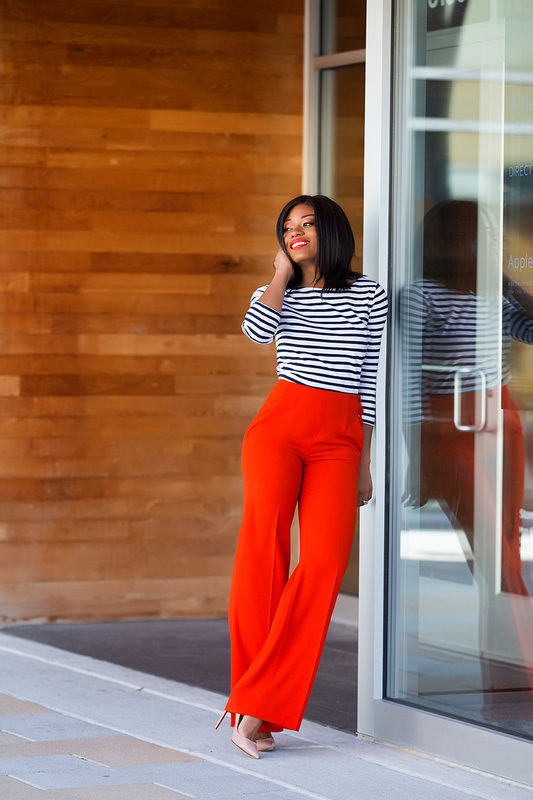 Today’s look is styled in preparation for the spring as such, I paired a stripe top with my bright orange high-waisted wide-leg pants. 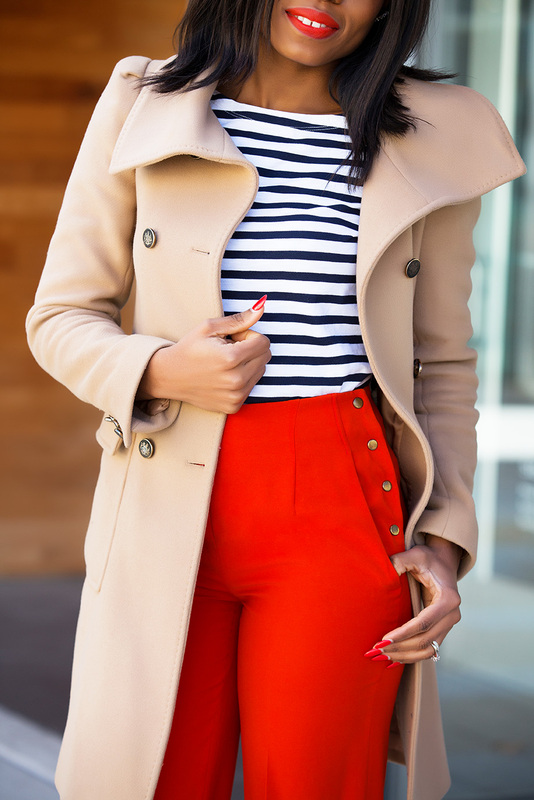 I have had the pants for a few years and the color and gold button detail makes it standout. 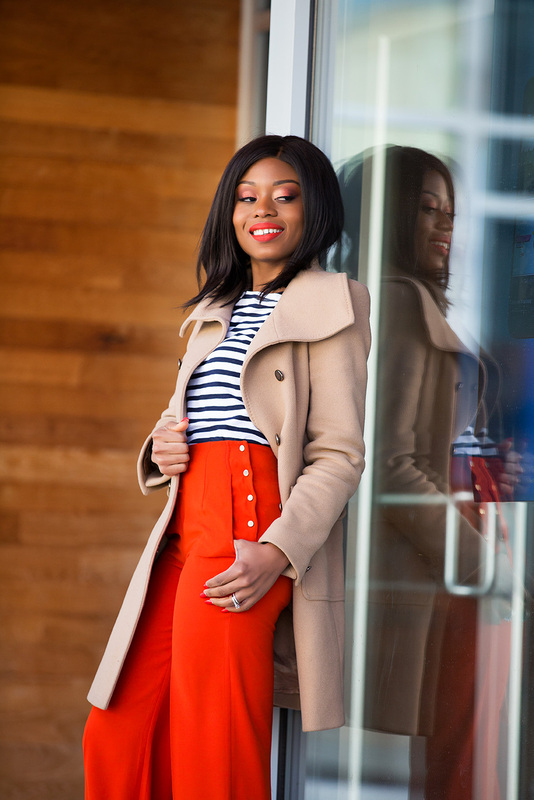 I wore a beige coat with pumps to create a neutral feel and this will make a great work style this spring. 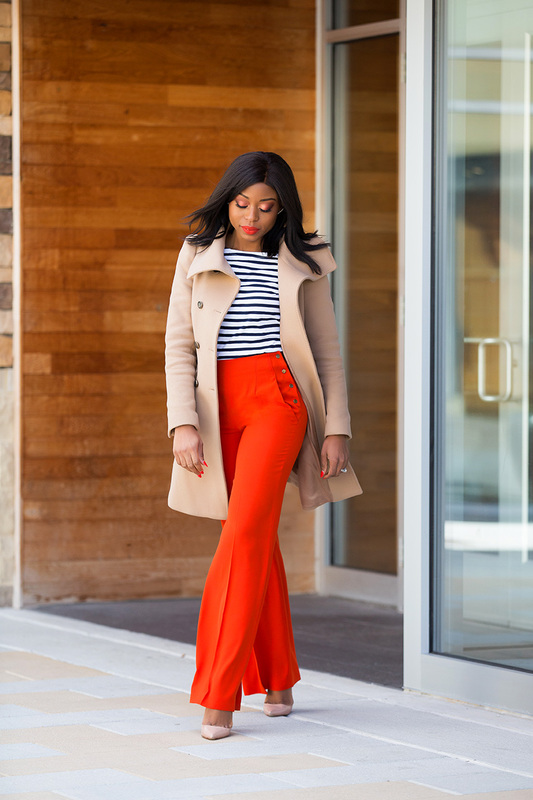 I have a thing with color and the colored pants on today’s post brightens up my day. Vibrant colours suit you so well! The dress is real nice. I have to get this for wife. I like the outfit so my angel deserve one it.